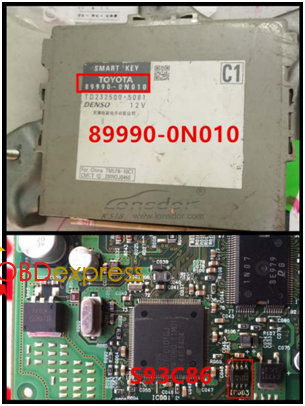 Newly releasd!Lonsdor Toyota/Lexus the 5th emulator for Chip 39 (128bit) supports Toyota H Chip All Smart Keys Lost by OBD through offline calculation-no need to connect from server.Can be used for Hilux, Fortuner, Yaris and more. More Toyota / Lexus car models will be tested, please be expected. Note: It’s not limited American Toyota, Australian Toyota or Asian Toyota. 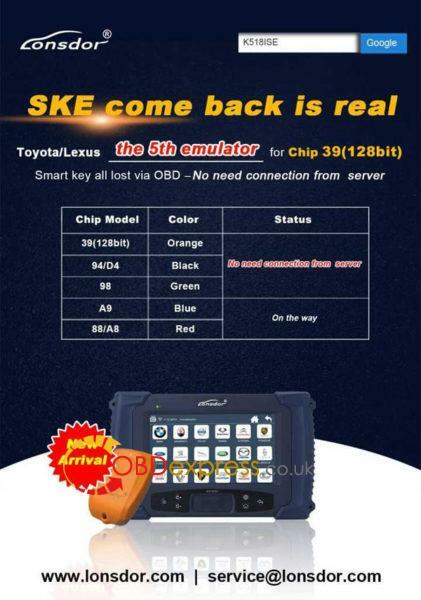 Please confirm whether emulator key (SKE) is bound to K518 device beforehand. Backup original EEPROM immo data. Use backup data to generate new data. become an available key,which can open dashboard.,before key programming. Bind SKE: Require to bind all SKE to K518 for the first use. Please confirm whether K518 is bound to emulator key (SKE). Generate a SKE for emergency use. Put the SKE close to start button and dashboard will be lit up. This function can bind emulator key (SKE-LT series) to K518 host. Please insert key to be bound into the host slot. System is binding… Program key when key binding complete. This function can backup EEPROM data. Generate SKE for emergency when data backup complete. Insert SKE to switch ignition ON and open dashboard. Receiving vehicle immo data… Please wait patiently. Please name EEPROM backup data. Data backup succeed.Please select “generate emulator key”function to generate a spare key for emergency. open dashboard to add other keys. System shows current data and notify key type. round button on the key. Generating SKE … Please wait for 5 minutes patiently. program and add new keys. remove it when buzzer beeps twice. Please wait till key registration complete. Operation succeed. System is deleting key… Deleting succeed. Smart key (away from start button) will be deleted. to choose corresponding key type(refer to back of the emulator). 4.For Carola/Vios/Zelas all key lost, programming is not available in a state of alarm. System certify and generate new data automatically, and program SKE to become an available key, which can open dashboard, before key programming. Bind emulator key: Require to bind all SKE to K518 for the first use. System is receiving data, please wait patiently. Please input data filename and save succeed. function to generate specific data. 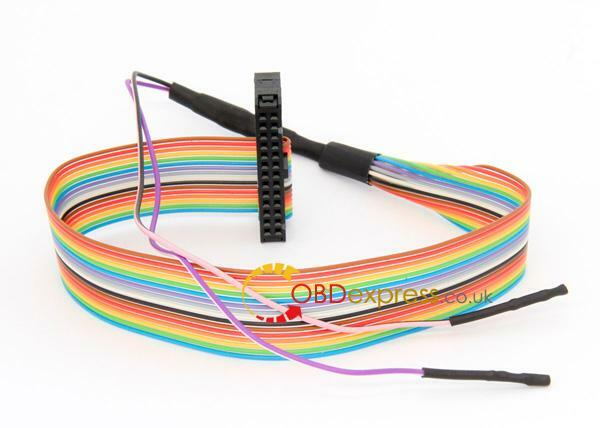 This function can generate EEPROM data for vehicle. 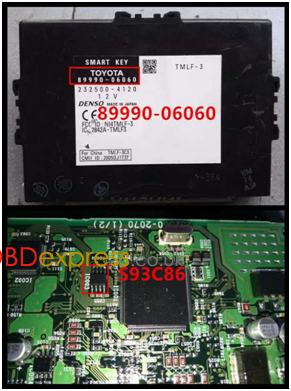 Continue to select EEPROM data of smart key backed up before. 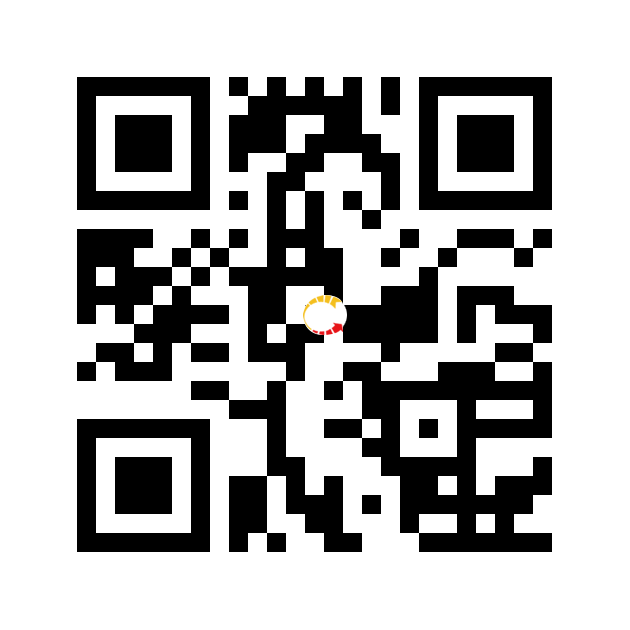 Searching data… Please input filename of new data. Generating EEPROM data complete. Data saved in K518\file\feature_1013. vehicle. More details, refer to “Reference”. Note: Install back smart box when data writing complete. 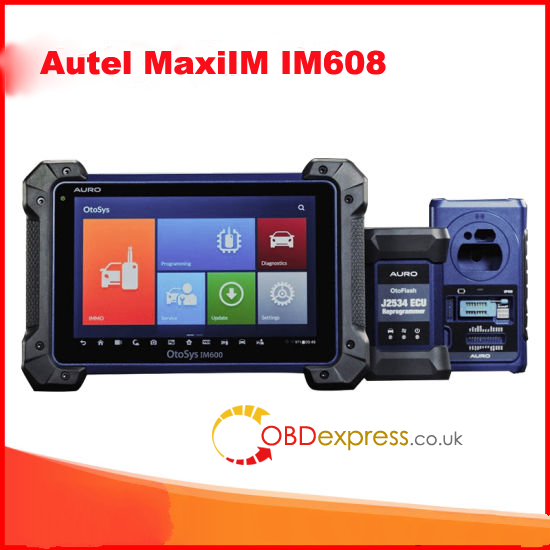 It’s required to write newly-generated data to EEPROM in smart immo box. Dashboard is lit up after emulator key (SKE) generated. can open dashboard to add keys. System is building configuration… Please wait patiently. please use SKE to program and add new keys. till dashboard is lit up. and remove it when buzzer beeps twice. ON till dashboard is lit up. 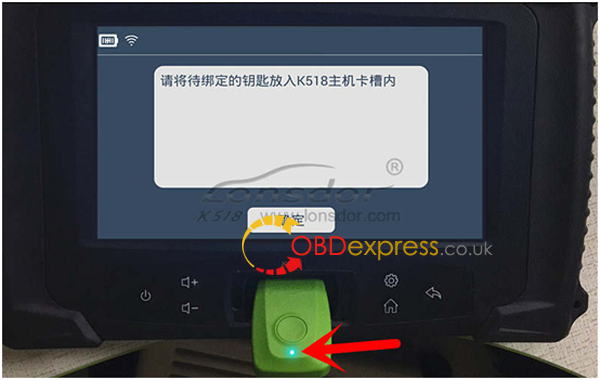 This function can bind smart key emulator (SKE-LT series) to K518 host. Please put key to be bound into K518 host slot. System is binding… When complete, continue to program all keys lost. Newly-generated data must be written to EEPROM chip in smart box. Dashboard can be lit up after simulate key is generated. Bind key/generate key: Change placement of simulate key to sense if failed. 98 card smart box is located at back of storage box at passenger seat. Password required or not Not required. Remote control Generate automatically when smart key programming complete. Price: 185USD(150EURO) not incl. shipping cost.